…where it is always 1895. This website came about because of a desire I had for years to tell John Bennett’s Shaw’s story. In this section we attempt to explore those unique relationships that added to the lore of John Bennett Shaw. When these individuals encountered John Shaw, sparks flew, lights went off and on, sirens sounded, lives were changed, and history was made. 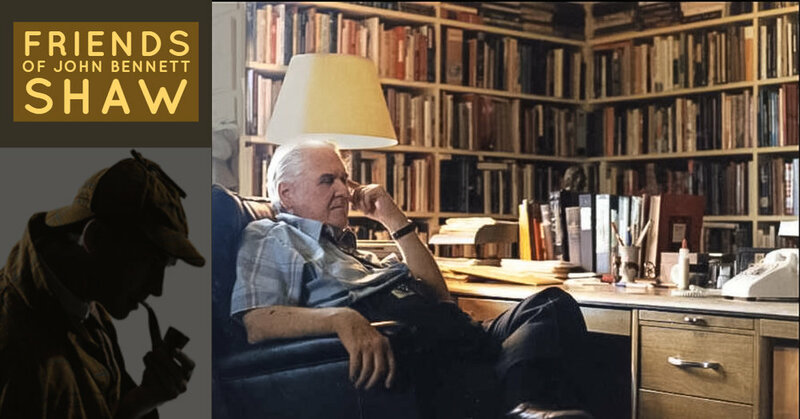 Some dear friends preceded him in “going beyond the Reichenbach.” So many names come to mind: Martin Gardner, Paul Herbert (BSI-1977), Gordon Speck (BSI-1986), Michael Harrison (BSI-1964), Ronald De Waal (BSI-1969), Saul Cohen (BSI-1978), and many more. Many of the Baker Street Irregulars (PDF of invested BSI members) counted John a close friend, and some of their stories will be touched on here. These recollections abound with facets and characteristics of the John Bennett Shaw we remember and honor. Here we hope you will find laughter, astonishment, and tears. “I never knew Sherlock Holmes, of course. So I want to toast someone I did know, and who deserves to be remembered: John Bennett Shaw. I like to say that he taught me everything I needed to know about being a Sherlockian.”—from a toast to Shaw. Recently the BSI published a special booklet about Peter E. Blau, “In Honor of the 60th Anniversary of His Investiture in The Baker Street Irregulars.” Much like the Baker Street Journal issue that honored Shaw in 1990, Peter E. Blau: A Festschrift (Leslie Klinger, editor) is a collection of stories written by friends and family (family being his wife, Beverly Wolov, “The Woman”). Stories about Peter Blau and John Shaw are included, especially one by Evelyn Herzog we shall get to momentarily. But first, a toast to John Shaw. Back to that story by Herzog. . .Peter Blau and John Bennett Shaw will forever be linked in the history of the Baker Street Irregulars. They were the two BSI members who took it upon themselves to help a group of young college women eager to become Irregulars and attend the annual male-only BSI Dinner in New York City. The year was 1968. The group was from Albertus Magnus College in New Haven, Connecticut. Their fearless leader was Evelyn A. Herzog (BSI-1991 ASH). Shaw leads a session of the Alkali Plainsmen in Kansas City. My Sherlockian card typed in Special Elite, the font used by John Bennett Shaw on his Smith-Corona Selectric. When beginning the Friends of John Bennett Shaw Facebook page, I worked closely with Steven Rothman, editor of the Baker Street Journal. One day I received a message from him and a picture of a pin he thought would be appropriate for a society honoring John Bennett Shaw. 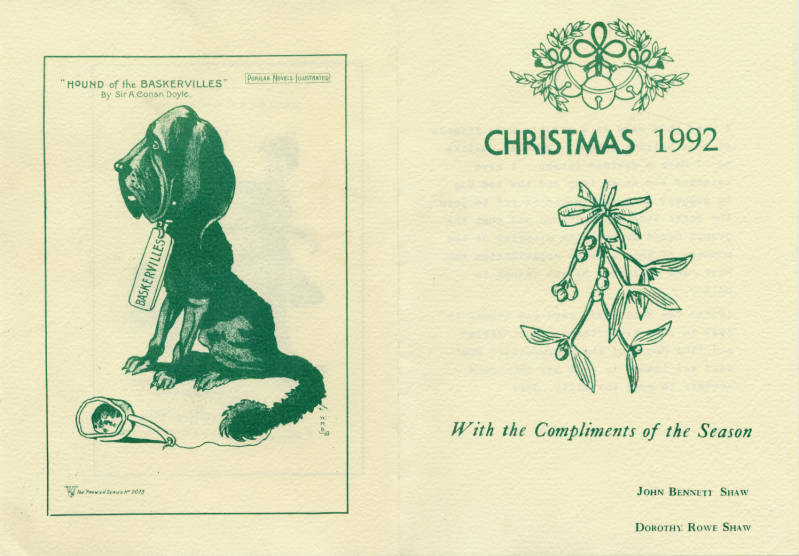 He discovered it on the Harry Ransom Center website in Austin, Texas, where you can also peruse a fabulous showcase of Beeton’s Christmas Annual. Tim Johnson, curator at the UMN Special Collections Library, and I had researched background on Shaw’s typewriter, comparing photos from his library with images of typewriters now out of style. This is what we came up with. This post at the Friends of JBS is typed in Special Elite type. NOT Shaw’s actual Smith-Corona electric typewriter, but very similar. The 1971 Christmas card (below), sent by John and Dorothy from their new home in Santa Fe, incorporated a crossword puzzle designed by Dorothy. It was reminiscent of the crossword designed by Christopher Morley’s brother in 1934 as an invitation to join the newly formed Baker Street Irregulars. Click image to read Shaw’s explanation about this first Christmas greeting from Santa Fe, NM. And this is the crossword greeting card designed by Dorothy Rowe Shaw in 1971. One more greeting card from John and Dorothy, this one for 1992, a year after the first women were invested as Baker Street Irregulars. It seems, on the surface to be about the Hound of the Baskervilles, but it’s not that simple. He was actually protesting the negative reaction by some of the BSI members who were not yet ready for females to become “Irregulars”. Shaw explains his “devious” intent on the back of the card, “I have selected the happy lady and the sad dog to suggest that the female is off to join The Baker Street Irregulars and that the grumpy hound depicts the minority of the members of this unusual organization who have been disturbed by the change in policy.” He really was a champion for women—ahead of his time. 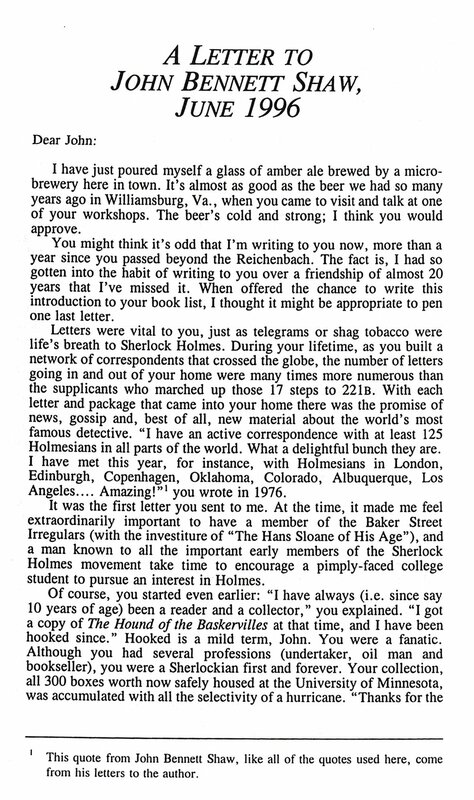 Steven Doyle (BSI-1996) shared a letter sent by John congratulating him on his publication, The Sherlock Holmes Review (1987). Shaw was forever encouraging the quality of scholarship Doyle had put into this new publication. Steven’s comments, accompanying his post at the JBS Facebook page, gives some important background about Shaw’s letter of praise. (see below). Very recently Steven Doyle reminisced about his first Sherlock Holmes Review. SHR, Volume 1, No. 1, rescued from a used book store. It's funny how things come back to you. 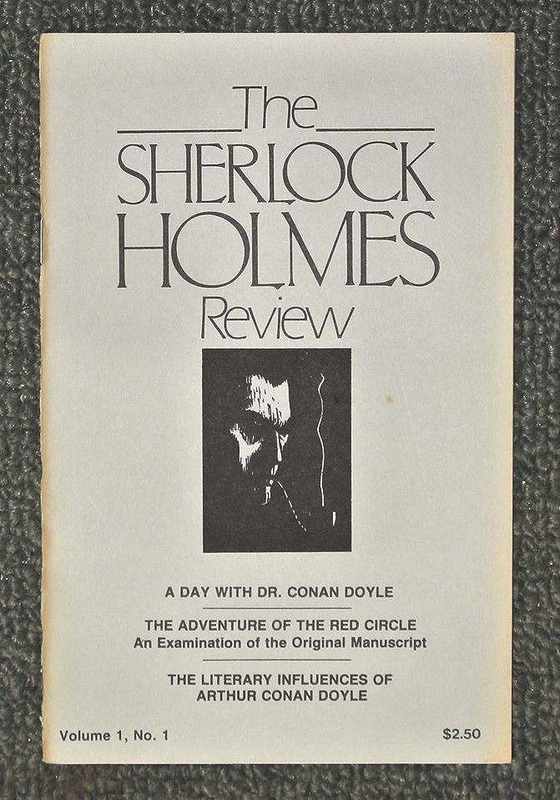 At hand is a copy of THE SHERLOCK HOLMES REVIEW, Vol. 1, No. 1 that was encountered in a used book store. There was no way it could be left behind, so it came home with me. This modest publication was my very first foray into Sherlockian publishing. I have been contemplating it, and the memories it brings…this was certainly stuffed into an envelope, addressed, and mailed by me 32 years ago out of the Bloomington, Indiana apartment my wife Pam and I were living in after getting married. I was 26 years old, and just decided to publish a Sherlockian quarterly. My inspiration was THE BAKER STREET JOURNAL and THE BAKER STREET MISCELLANEA. SHR had a ten-year run, and in its day published on a national and international level. It was called by one critic "the last of the great Sherlockian periodicals." The first issue was printed in a run of 100 copies, was professionally typeset, and featured art direction by my then-partner Charlie Largent (some of you will recognize that name…he went on to much greater things). The SHR logo on the front cover was by him, and is still, to this day, one of the greatest artistic renderings of Sherlock Holmes. Of course, this was done way before desktop publishing, and that meant typeset galleys, art boards with blue line guides, rubber cement and paste up…a real, literal labor of love. And then, to our great but happy shock….it sold out in a matter of three weeks. And everything I've done since…publishing books for The Illustrious Clients of Indianapolis, Wessex Press/Gasogene Books, publishing the BSJ (something I would have never dreamed of back then)…all of it, started right here, with this. And lately, I've been thinking it's probably getting time for THE SHERLOCK HOLMES REVIEW, in some form, to make a return. . .
Shaw influenced many lives with his enthusiasm for Conan Doyle and Sherlock Holmes. In the case of Ronald Burt De Waal, the reverse was true. De Waal had a tremendous effect on John’s life, the importance of which John explains in his Foreword to The Universal Sherlock Holmes (see below). I am interested in Sherlock Holmes, Sir Arthur Conan Doyle, and the world in which they live. So what do I do? I obtain as many books, pamphlets, periodicals, Holmes society publications, video and audio tapes, and other material such as statues, puzzles, plaques, T-shirts, mugs, and even a Professor Moriarty toilet seat as I can. When a person becomes interested (in my case, fascinated) in a subject, he/she needs guidelines, help, and references about sources of information on the subject. And if Sherlock Holmes is the subject, the person needs, nay, must have a bibliography. And that leads to Ronald Burt De Waal and his massive compilations. Let us begin at the beginning. I have been a reader of the Sherlock Holmes stories since childhood. Later, after college, I made a simple (and how rash!) decision to collect Sherlockiana. And now, after five decades, I am still acquiring, reading, and shelving this material. Twenty-seven years ago at a Baker Street Irregulars' dinner on West 23rd Street in New York City I met a young man who said, "I am Ron De Waal and I plan to compile a world bibliography on Sherlock Holmes." I thought, "He is mildly insane," and then, "Good heavens, I hope he does it." The outcome of this chance meeting led De Waal to spending ninety-seven days (and by `day' I mean a full twelve hours) in my library working on his bibliographical project. He visited several times when I lived in Tulsa, Oklahoma, and then many times in Santa Fe, New Mexico. Further, there have been countless letters and phone calls. It seems we are a good pair: I am a blotter-type collector and he is obsessed with listing and describing it all. Ronald De Waal and his prodigious and ambitious literary project are a success — for him a triumph; for me a justification for being a one-subject collector. It is De Waal who made my efforts worthwhile. This new edition is an astounding source of information. "Never," as Christopher Morley wrote, "has so much been written by so many for so few." The bibliography contains entries (many include more than one item), which in some way relate to the Great Detective and Conan Doyle and their numerous friends everywhere. Sherlock Holmes lives and continues to thrive because of the genius of Conan Doyle (often referred to as Dr. Watson's Literary Agent) and of scholars like De Waal. The accounts of Holmes and Watson, as well as the writings of the imitators and commentators, will always be read and enjoyed. And the pleasure of these readers will be enhanced and encouraged by Ronald De Waal's efforts. This is a most enduring scholarly production. As a reader and collector of the printed word, I can never thank Ron enough for his incredible contribution, foresight, and energy to the cause of "keeping green the memory of the Master Detective." "The Hans Sloane of My Age"
Soon after John Shaw’s death, letters of condolence began to pour in from all over the globe. Roger Johnson, a long-standing member of The Sherlock Holmes Society of London and former editor of the Society’s newsletter (The District Messenger), posted a notice of John’s passing in the newsletter, then wrote a touching article for the Sherlock Holmes Journal. Let me take a brief pause here to share the remarkable career of Roger Johnson and Jean Upton. They are husband and wife, and their story is highlighted here by Roger. I'm a retired librarian. Jean is also retired, but her career has encompassed a remarkable range of jobs, in her native America and in England. For several years she lived and worked in Hollywood, where she was introduced to the Masquers Club by Stan Laurel's son-in-law; she's now an honorary life member. We met through the Sherlock Holmes Society of London, and we think ours was the first transatlantic Sherlockian marriage. 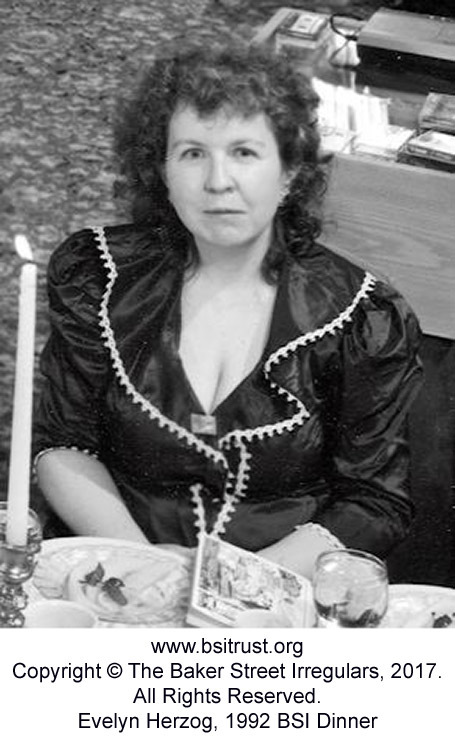 Dame Jean Conan Doyle was an honoured guest at our wedding in 1992. We're both entitled to put "BSI" and "ASH" after our names (I am, as far as I know, the only British-based male Adventuress of Sherlock Holmes). For more than 25 years we have been semi-official custodians of Holmes & Watson's sitting-room at the famous Sherlock Holmes pub in London. We share our small Edwardian house with several thousand books and three cats, named Mehitabel, Benedict, and Nicholas. 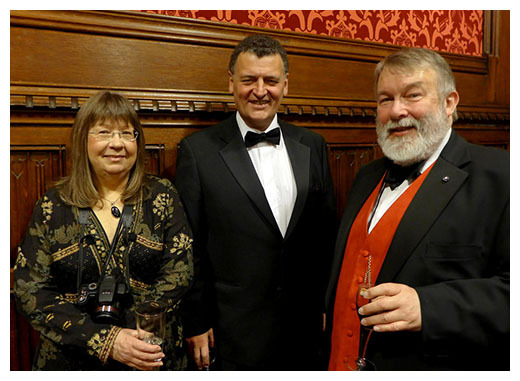 Shown here with Steven Moffat (co-creator of the television series Sherlock), Roger and Jean published The Sherlock Holmes Miscellany in 2012. It was my good fortune to come to Holmesiana through correspondence with an American, and from the start I found myself almost as frequently in contact with Sherlockians in the United States as with Holmesians in the United Kingdom. 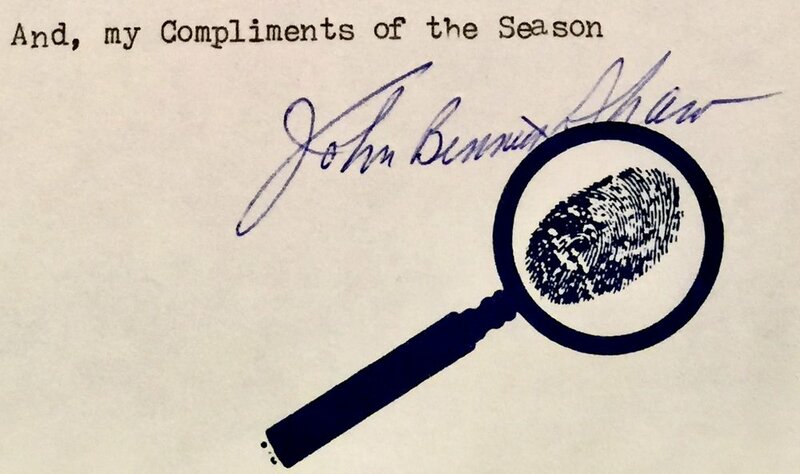 One of the first, with a friendly and encouraging letter, was John Bennett Shaw. He was chatty, humorous, wise and convivial, and he appreciated the value of Sherlock Holmes as an inspiration for friendship. Eventually, we met in the mid-1970s, when John attended our Society’s annual dinner. He could have spent his time with the senior members, most of whom he knew, but he chose to chat with me, to introduce me to his wife, Dorothy, and their guest, John Gardner. John Bennett Shaw collected Sherlock Holmes, with all the discrimination of a vacuum-cleaner (his phrase, not mine). A whole room at the house in Santa Fe was given over to the library; it would probably have been a bedroom in any normal household. In fact, when I visited the Shaw’s during my first trip to the United States in 1980, I was told that the library had to double as a guest bedroom. John actually apologised. I don’t think he realised that many people would have paid for the opportunity to sleep in that room. The Shaw library now forms a part of what must be the largest public collection of its kind, at the University of Minnesota. The books and other items were sent on their way last year, in an appropriate 221 boxes, but even after they’d gone, John never stopped collecting, and his enthusiasm never waned. His investiture in the Baker Street Irregulars was “The Hans Sloane of My Age”, and we were delighted that he could find the time and energy to contribute an essay on “The Significance of Hans Sloane” to the Society’s book Back to Baker Street. He was a large man, both physically and spiritually. His open generosity embraced all devotees of Sherlock Holmes and Arthur Conan Doyle. It didn’t even matter, I suspect, whether they were sincere; what mattered was that he was sincere. He was the ideal person to encourage the formation of Holmesian groups, large or small (Shaw’s Formula is famous: all you need for a Sherlockian society is two Sherlockians and a bottle – and at a pinch you can do without one of the Sherlockians). He also approved the affiliation of groups to the Baker Street Irregulars as official scion societies. Jean’s experience was typically enthusiastic and hilarious when she began The Occupants of the Full House – which, as the only English-based BSI scion transplanted from the United States, is now something of a living and lively memorial to John Bennett Shaw. In August, John suffered a severe heart attack. He seemed to be recovering well, but on Sunday 2nd October, just a week before his 81st birthday, he was struck by another and died instantaneously. To John Bennett Shaw all Sherlockians were friends, and those friends will miss him, for his knowledge, his humour, and his kindness. There was no-one else quite like him. When Roger sent us his article about John Shaw in The Sherlock Holmes Journal, he prefaced it with this personal note. What isn't mentioned there is that on just one occasion I dreamed about meeting him again after a gap of more than ten years. I remember telling him what a pleasure it was to see him looking well and like his old self. The following day we had the news that John had died during the night. I like to think that he had made a point of coming to say goodbye to an old friend. 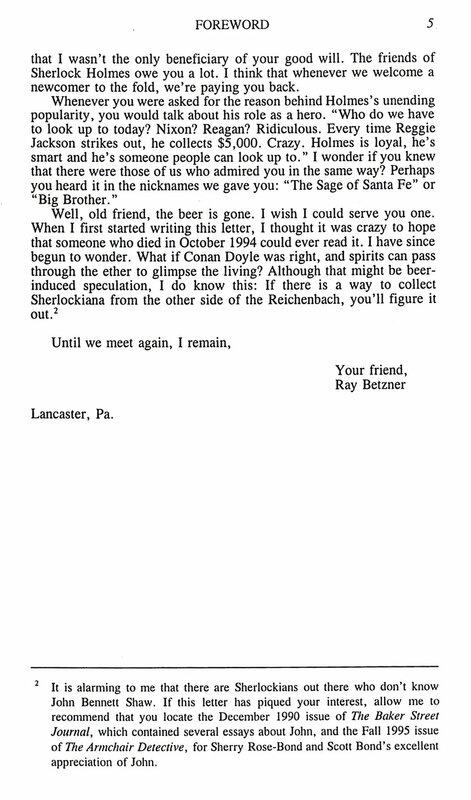 Written as the introduction to The Shaw 100 two years after John “passed beyond the Reichenbach,” Betzner’s letter to John captures the essence of friendship that existed not only between Ray and John but between countless others who spent time with him. As you read this letter, consider your friendship with John Bennett Shaw and give thanks. In October 1995, the John Bennett Shaw Collection was dedicated at the University of Minnesota in Minneapolis. The greatest gathering of John and Dorothy’s friends made their way to Minneapolis to honor and dedicate his collection, making it available to all who wished to visit, in person or online. Here are some images from that program. John often spoke fondly of bookseller Enola Stewart. She was very gracious to sign my program at this meeting. This seems like a good place to sign off the website for now. or for the first time, “The Sage of Santa Fe” —John Bennett Shaw.